Tino Boat offers a variety of activity to do in Mauritius. We are located on the east coast of Mauritius near the magnificent Ile aux cerfs island. We offer a variety of trips and activities such as catamaran cruise, blue bay trip and parasailing. Looking for things to do in Mauritius? Look no longer than Tino Boats! We are located on the east coast of Mauritius near the magnificent Ile aux Cerfs island. We offer a variety of trips and activities such as catamaran cruise, Blue Bay trip and parasailing. Contact us for more informations about our different package sales. We offer a wide array of packages to cater for all our clients. Learn more about our packages including a pirate boat trip, catamaran cruise, parasailing, speed boat charters that we offer to you, our esteemed clients. Tino Boats is more than just about our fleet of boats, it's also about the people behind it. 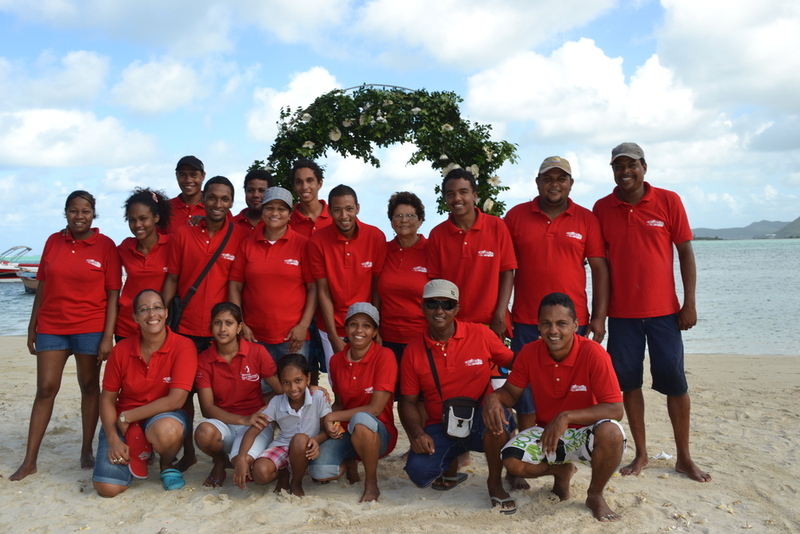 We are a family-run business located in Trou D’eau Douce and we employ a staff of nearly 20 persons. Read more about our crew. Come on board and book a boating experience along the east coast of Mauritius that you'll never forget. Contact us for informations about our combo packages.